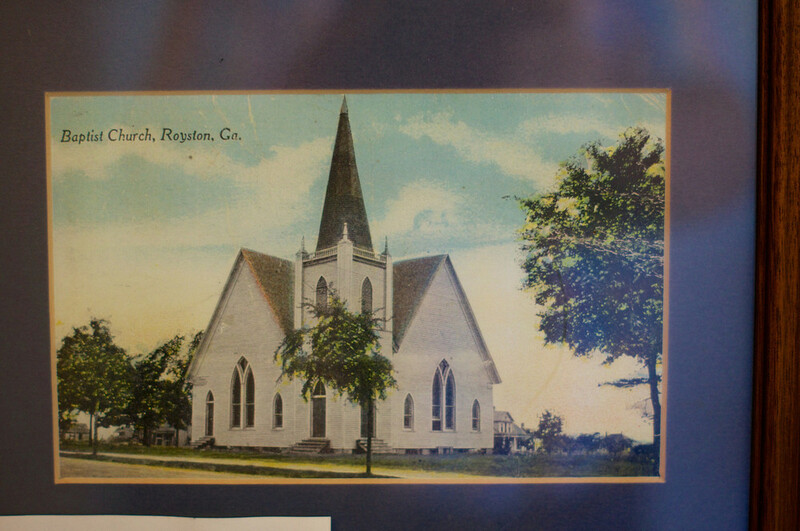 Royston Baptist Church was established in 1882. The building fund subscriptions totaling $332.50. The first building was a simple frame structure with an overhang in the front, which afforded passengers in horse-drawn vehicles of transportation protection, during inclement weather, as they transferred from carriages into the building. For more than twenty years, this modest building was to house the place of worship and study for Royston Baptists. In 1905 a second building was built on the same corner. This building served the needs of Royston Baptist through many good times and bad. The church would grow to need a full time minister during the time. Dr. Jackson was called in 1919 as the full time minister. The church would have to revert to part-time ministers again however during the Great Depression. In 1952 the sanctuary you see on the corner of Cook and Church street was finished and dedicated. This building has seen many additions, makeovers, and renovations through the years but has stood the test of time. The church during the late 50's and early 60's reached it's high water mark to date in attendance eclipsing 600 in membership and 495 in Sunday School. In 1965 the education building was completed. In 1997 the Family Life Center building was completed. Royston Baptist Church continues the mission to worship, study, and share Christ today. Royston Baptists are committed to offering bible study in relevant ways to all age groups. We have activities for youth and children on Sunday mornings as well as on Wednesday evenings. Royston Baptists are committed to serving the local community as well as the greater cause of Christ. Royston Baptists regularly give to the local food bank, the cloths closets, and other non-profits serving those in need. Royston Baptists have attended mission trips to Kentucky, Arizona, and North Carolina in the past couple of years. Royston Baptist is committed to teaching the word of God and worshiping together on the corner of Cook and Church street. 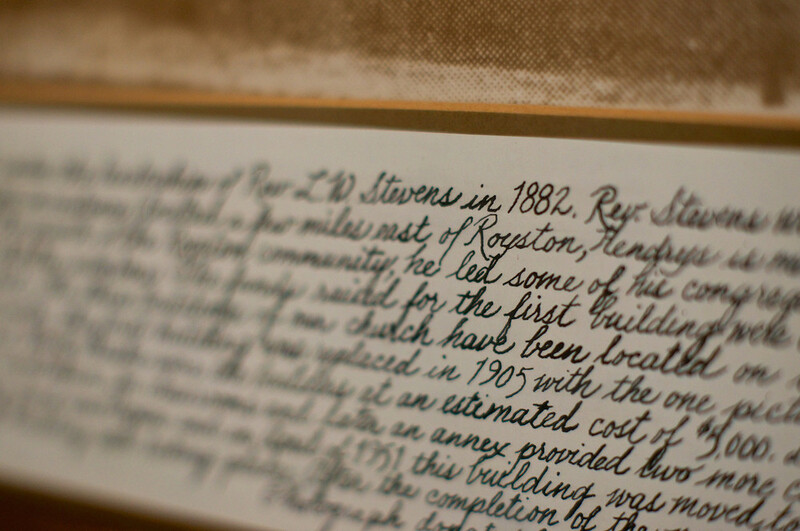 Royston Baptist is committed to meeting the needs of those around them as well as those in the greater community.